KIMBERLY NEVALA is the Director of Business Strategies for SAS Best Practices. She is responsible for providing counsel on the strategic value and practical implications of emerging analytic applications and information trends. Kimberly’s concentrations include business analytics, developing analytic cultures, data strategy, governance and business-IT alignment. She is currently focused on demystifying the business potential and practical implications of artificial intelligence (AI) and machine learning (ML). Prior to joining SAS, Kimberly was a Principal Consultant for Baseline Consulting Group, a premier management consultancy specializing in business and data strategy. At Baseline, Kimberly advised customers worldwide in the design and deployment of strategic BI and analytics, data governance and business transformation programs. In her current role, Kimberly combines 20 years of on-the-ground experience with forward-thinking perspectives to help organizations maximize their data potential. Kimberly is a popular speaker and author whose work has been published by organizations including DataVersity, Information Week, CIO Asia, Knowledge World, TDWI and the IIA. Kimberly is the author of Rationalizing Risk in AI, Making Sense of AI, The ML Primer, A Portrait of a CAO, The Anatomy of an Analytic Enterprise, and Sustainable Data Governance. 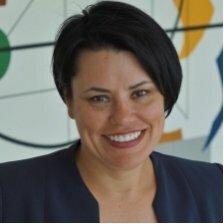 Kimberly Nevala is speaking at the AI & Big Data Expo North America (28-29 November 2018.